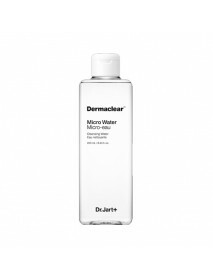 Dermaclear Micro Water＇Product DescriptionPleasant, thorough deep cleansing with Hydrogen Bio Water.Cleansing water with a moist watery texture that removes all make-up.+ Micro Water 150ml (Refill)＇How to useWet a cotton pad with the cleansing water,..
Monster Micellar Cleansing Water＇Product DescriptionMonster Micelle particles in the base water melts away dirt and makeup impuritiesleaving your skin feels comfortably balanced.Animal-derived ingredient, mineral oil, polyacrylamide, imidazolidinyl u..
Gibon Care Cleansing Water＇Product DescriptionThanks to mild toner, skin feel comfortable and well-moisturized.It is mild and low stimulus cleansing with weak acidity.Soothe and nourish skin, also keeping it clear and firm.＇How to useDispense product..
Secret Of Sahara Cleansing Water Be Clean, Be Moist＇Product DescriptionMicellar cleansers are formulated with tiny molecules of cleansing oil suspended in soft water that act as a magnet to trap dirt, makeup and oils.Huxley's Be Clean, Be Moist Clean..
Micellar Cleansing Water #Centella Calming＇Product DescriptionA mild, skin soothing micellar cleansing water enriched with 1,000 ppm of centella asiatica.＇How to useSaturate a cotton pad with the cleansing water and gently sweep across your face, mov..
Micellar Cleansing Water #Flower Moisture＇Product DescriptionA mild, moisturizing micellar cleansing water enriched with 1,250 ppm of flower complex, formulated with chamomile extract and lavender extract.＇How to useSaturate a cotton pad with the cle..
Near Skin PH Balancing Cleansing Water ＇Product DescriptionSkin safety test completeCleansing should be mild without stimulation with weak acid base.Contains skin-friendly amino acid moisturizer. 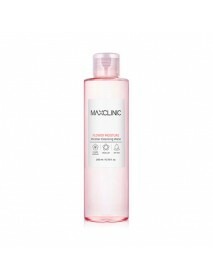 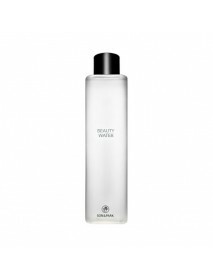 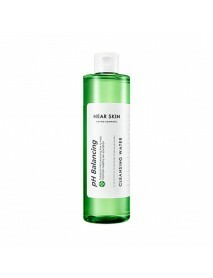 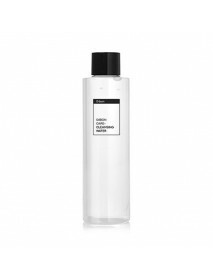 Even after cleansing, it is moist without pulling.Cont..
Healing Herb Cleansing Water＇Product DescriptionA fragrance-free, gentle cleansing water enriched with green tea extract, cucumber, birch tree extracts thoroughly and mildly removes makeup and impurities for a fresh and soft feeling.＇How to useSatura..
[SON&PARK] Beauty Water [Description] It creates a clean base for the next steps in your skincare and makeup routine.Originally created by master artists, Son & Park, Beauty Water lives up to its name.Not just a cleanser,it has mild exfolia..
Chia Seed Fresh Cleansing Water＇Product DescriptionSimply soak a cotton pad and wipe your faceto finish cleansing instantly. 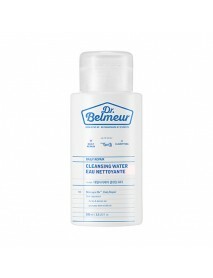 ＇How to usePlace a cotton pad at the spout and pump 2 to 3 timesto fully moisten the pad then,wipe in an outward direction al..
Dr. Belmeur Daily Repair Cleansing Water＇Product DescriptionTested for skin irritationPhytosphingosine, Sea salt (8%), Peony extract, ceramides containingMoisturizing, improving keratin, itching relief, strengthening the skin barrier10 kinds of presc..